John Armstrong Spicer, Attorney-General of the Commonwealth, first Chief Judge of the Industrial Court and one of the group of ‘largely forgotten figures’ who assisted R. G. Menzies in the founding of the Liberal Party, was born at 935 High Street, Armadale, a suburb of Melbourne, Victoria, on 5 March 1899. Spicer’s father, Henry, was a photographer, born in Torquay, England, and his mother, Helen Jane, née Armstrong, was a native of Bendigo, Victoria. At some time, the family moved to England where John received his early education at Chelston in Torquay. In 1955, when in England representing the Commonwealth in its opposition to the appeal of Raymond Fitzpatrick and Frank Browne being heard in the Privy Council, Spicer returned to Chelston as a celebrity from ‘Down Under’. After the Spicer family moved back to Melbourne, John completed his schooling at Hawksburn State School on Malvern Road. The family were not well off and he gained his matriculation at night school. He took articles in 1913 and in 1920 passed the preliminary examination in law at the University of Melbourne. Later he would recall stepping off a train at South Yarra and meeting Menzies, who was then a fellow law student. In 1922 Spicer was admitted to the Victorian Bar, where he practised for thirty years. In 1948 he was appointed King’s Counsel. Spicer was a member of the Prahran branch of the Australian Natives’ Association and by 1929 was on the committee of Melbourne’s Constitutional Club. He became a life member of the Constitutional Club; it may have been the club’s model Parliament (of which he became ‘Prime Minister’) that led to his keen awareness of the arcane intricacies of parliamentary procedure. Spicer was accepted as a member of the Round Table where he sat comfortably among the conservatives, while being exposed to the moderating influence of those of more radical persuasions. He also became a member of the Australian Club. There is no record of his being admitted to the Melbourne Club, perhaps for the same reasons as those which in 1952 hindered his being considered for the High Court by Menzies and Sir Owen Dixon—lack of education (he did not have a law degree) and ‘background’. Spicer’s entry into federal politics was advanced by his involvement in the creation of the Young Nationalist Organisation, launched in Melbourne by T. S. Nettlefold with Menzies and Wilfrid Kent Hughes in November 1929 for the purpose of injecting new vigour into the Nationalist Party. By March 1930 the Young Nationalists had established a political structure, which included a system of ‘units’ from which groups of enthusiastic young conservatives, such as Spicer, canvassed city and regional electorates. With another Constitutional Club man, A. H. Clerke, Spicer became one of the two leaders of a unit known as the ‘metropolitan 100s’. He went on to serve on the Young Nationalists’ executive and would become its vice-president, with Menzies as president. In this way he was involved in changes that heralded the creation of the United Australia Party in 1931. On 30 April he was one of three speakers (with Menzies and Kent Hughes) who spoke on ‘Labour’s Financial Policies’ at a public meeting organised by the Young Nationalists at the Melbourne Town Hall. (The city organist set a suitable tone by performing ‘patriotic airs’.) Throughout his long political and judicial career Spicer would retain the close association with Menzies cemented at this time. Paul Hasluck later recalled that Menzies gave value to anything Spicer said. In 1940 Spicer was elected to the Senate for Victoria in the general election that saw the return of the Menzies Government. Under existing electoral law, Spicer filled the casual vacancy caused in the first place by the death in 1938 of Labor’s Senator-elect John Barnes and filled subsequently by Labor’s James Sheehan. Sheehan would have retained the vacancy had he been elected to the fourth place, but lost to Spicer. Spicer was sworn in the Senate on 20 November 1940, moving the Address-in-Reply on the following day. He soon became an influential member of parliamentary committees. In July 1941 the Government established five joint parliamentary committees on a bipartisan basis. Spicer, who had indicated an interest in price control, was appointed chair of the Joint Committee on Profits; at one time he was the only senator on the committee. The committee, whose terms of reference included the examination of defence and war expenditure, also examined the National Security (Prices) Regulations; it presented two reports before new government economic policy made its work redundant. From 1940 to 1943, when national security regulations would make for a vast increase in the amount and complexities of delegated legislation, Spicer was chairman of the Senate’s Regulations and Ordinances Committee. The defeat of the Government on the floor of the House of Representatives brought to power the Labor Government of John Curtin in October 1941. Now on the Opposition benches, Spicer declared that as a unificationist he was in agreement with many of his Labor opponents. Nonetheless in 1942, during debate on the Income Tax (War-time Arrangements) Bill, which once enacted became one of the Acts that led to the Commonwealth’s takeover of income tax, he claimed the legislation would destroy the ‘States as a part of our federal structure’. He repeatedly criticised the scheme as being of disadvantage to Victorian taxpayers. He was even more to the fore when the Opposition accused the Government of tacking the proposed National Welfare Fund Bill onto the Income Tax Bill 1943 and thus contravening section 55 of the Constitution. Speaking during the committee stage of the Income Tax Bill, Spicer said: ‘This bill, which seeks to impose taxes for the purpose of carrying on the war, is made conditional [under clause 2] upon the Parliament accepting a proposition for social services . . . I stress . . . that this . . . is a very serious invasion of the constitutional privileges of this chamber’. Spicer successfully moved an amendment to clause 2, which removed the words that made the Income Tax Bill conditional upon the National Welfare Fund Bill. When the Income Tax Bill stalemated after its return to the Senate from the House of Representatives, Curtin called an informal conference of members of both houses; Spicer was one of the Senate representatives. At the conference it was agreed that Spicer’s amendment be accepted provided the Senate dealt with the Government’s National Welfare Fund Bill within a specified time. Despite a strong loyalty to his party, Spicer was capable of taking an independent stance when he felt it to be necessary. In 1944 he was appointed a member of the Joint Committee on the Advisability of Basing the Liability for Income Tax on Current Income, with Ben Chifley, then Treasurer, as chairman. With the exception of a recommendation relating to current income tax, Spicer supported the adoption of the report, which included a ‘pay as you earn’ plan for employees and the provisional tax scheme. He had been unequivocal in his support for the Government’s Statute of Westminster Adoption Bill 1942, as indeed were two other UAP lawyers, A. J. McLachlan and Walter Cooper. The bill, he said, would in no way lessen Australia’s ties with Britain, adding with a touch of acerbity that the debate had demonstrated ‘either that members do not understand, or will not understand [the legislation’s] real character’. Spicer, with other like-minded conservatives, criticised the Curtin Government’s war policies, but no issue during the war divided both parties to the extent of the Defence (Citizen Military Forces) Bill of 1943, which allowed for the conscription of citizen military forces in the south-west Pacific. Spicer moved that the territory of the South-Western Pacific Zone, to which it was proposed citizen military forces should be sent, be extended beyond that outlined in the bill. When the UAP’s irascible Senator Crawford voted with the Government, Spicer’s amendment was negatived (17/17), and the bill that had reignited the ashes of the World War I conscription debate passed the third reading. The Defence Bill had brought to the fore differences already existing in the UAP. During March and April 1943 Spicer joined a group of senators and members who formed a ‘cave’ within the UAP under the name of the National Service Group. This group, expressing its dissatisfaction with the leadership of W. M. Hughes, and of UAP policy, and declaring it would no longer attend meetings of the parliamentary party, claimed it would act within the party to avoid division. Spicer, with some other National Service Group senators, lost his seat at the federal election in August in the landslide victory to the Labor Party. He continued to work for the policies of the National Service Group, and played a key role in the transformation of the UAP into the modern Liberal Party, a fact suggested by his becoming Menzies’ choice for the chairmanship of the new party’s provisional federal executive, though in the end the position went to T. M. Ritchie of New South Wales. During this period out of office, Spicer also became the first legal adviser to the Senate’s Regulations and Ordinances Committee. The committee, with the approval of the President of the Senate, the Hon. Gordon Brown, appointed Spicer to the position, at an annual fee of 200 guineas, from 1 January 1945 until he resigned on 30 April 1946. In May, Spicer was unsuccessful in his attempt to gain nomination for the casual vacancy arising from the death of Labor’s Senator Keane, losing in a vote to the Country Party’s A. J. Fraser. He was returned to the Senate at the December 1949 election and, under provisions relating to the increase in the number of federal parliamentarians, was sworn in February 1950. One of five ministers in the Senate, under section 64 of the Constitution, he served as Attorney-General in the Menzies Government from December 1949 until August 1956. In September 1955 he served for two weeks as Minister for Shipping and Transport. During the long debates on the Communist Party Dissolution Bill during May and June 1950, Labor senators, anxious to avoid the simultaneous dissolution of both houses that ultimately destroyed their powerful Senate majority, agonised over the bill, especially in relation to the onus of proof and right of appeal clauses. Spicer, while strongly holding the line on Government policy, negotiated the Government’s position and agreed to a number of less controversial amendments. Following Labor’s agreement to pass the legislation, an appeal on constitutional grounds was made to the High Court, Spicer preparing the case on behalf of the Commonwealth. When the legislation was declared invalid, Spicer turned to the preparation of a Cabinet paper that led to the Government’s decision to reintroduce the Commonwealth Banking Bill. Labor senators then referred the bill to a Senate select committee; Spicer argued that this was a failure to pass and, on this basis, Menzies and Spicer went to the Governor-General and secured the dissolution of both houses. At the election of 28 April 1951 the Liberal–Country Party coalition was victorious, with a majority of four in the Senate. In July Spicer introduced the Constitution Alteration (Powers to Deal with Communists and Communism) Bill. The bill passed both houses but the subsequent referendum in September failed. A related part of this drive against communism was the effort made by the Government to ensure that information from the Australian Security Intelligence Organisation (ASIO) was legally defensible. Spicer’s strict adherence to matters of law and his natural caution served to place a restraining hand on counter-espionage activities and some of the more draconian recommendations to Cabinet made by ASIO’s Director-General, Charles Spry, such as the proposed sabotage and official secrets legislation. Then there was the highly controversial National Service Bill that provided for a period of compulsory military training. The bill had been introduced by Spicer in 1950 and was opposed by Labor who despatched it to a select committee, which Government senators refused to join. In the climate of fear created by the Cold War, which became even more intense in Australia as a result of the Korean War and the Malayan Emergency, Spicer claimed that this bill was as important as the Communist Party Dissolution Bill. After the 1951 election the National Service Bill (No. 2) also passed smoothly through the Senate. But Spicer’s most enduring interest was in the area of industrial relations. As early as 1941 he had referred in Parliament to judgments made by the Commonwealth Conciliation and Arbitration Court. In November 1950 he introduced a bill which enabled proceedings before the Court to continue despite a member of the Bench’s absence through illness. In March 1951 he introduced a Conciliation and Arbitration Bill, which, he said, was essential to cover an omission in the principal Act that had emerged as a result of a High Court ruling in the gas employees’ case of that year. In addition, the bill proposed to give the Court ‘the inherent powers’ of a ‘Superior Court of Record’ so that it could punish for contempt. The bill lapsed at the 1951 dissolution, but was reintroduced after the election with a new provision that allowed for the election of union officials to executive and administrative positions by secret ballot. Secret ballots were also to be allowed during industrial disputes when the Court considered such ballots might prevent a dispute or effect a settlement. Under the Conciliation and Arbitration Bill 1952, Spicer introduced amendments that added an appeal process whereby matters dealt with initially by the conciliation commissioner could be referred to the full Court. As a key figure in the Cabinet, Spicer was privy to early information on the possible defection of the Soviet diplomat, Vladimir Petrov. Following Petrov’s defection the Government established a Royal Commission on the affair. Despite dismissal by the High Court of challenges to the validity of the Royal Commission Spicer stiffened the earlier legislation that had established the Royal Commission with a new bill, the Royal Commission on Espionage Bill 1954. During debate on the Royal Commission’s report in 1955, Spicer, not very effectively, joined in the Government’s hue and cry against Labor’s Leader of the Opposition and former Minister for External Affairs, H. V. Evatt. 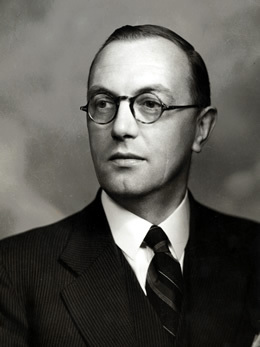 In 1954, as Minister representing the Minister for External Affairs (R. G. Casey) in the Senate, Spicer was responsible for responding to questions on international affairs and providing ministerial statements on Casey’s behalf. He also moved the second reading of the South-East Asia Collective Defence Treaty Bill. In the lead-up to the signing of the treaty that established SEATO in Manila in September, Spicer was engaged in the final delicate negotiations, talking by phone from his Canberra office to Casey in Manila. In June 1956 Spicer steered through the Senate major amendments to conciliation and arbitration legislation, some of which had been arrived at following consultation with the Australian Council of Trade Unions and employers’ organisations. These reforms, Spicer said, were aimed at streamlining procedures relating to references and appeals, and were in part motivated by implications arising from the High Court decision in the Boilermakers’ Case in March 1955. The Act altered the structure of arbitration machinery by providing for the separation of the judicial and arbitral functions by creating two separate bodies. The Commonwealth Industrial Court would exercise the judicial function and would be composed of a chief judge and not more than two other judges. A second body, the Commonwealth Conciliation and Arbitration Commission, would discharge the previous industrial regulation functions. There would be a president of the commission and a number of deputy presidents. On 15 August 1956 Spicer was appointed first Chief Judge of the Commonwealth Industrial Court, his resignation from the Senate taking effect the day before. In the previous September he had become Deputy Leader of the Government in the Senate and, in October, chairman of the new Joint Committee on Constitutional Change. He had served seven years as Attorney-General. A thoroughly reliable and loyal colleague to Menzies, Spicer had been content to leave certain matters, such as the appointment of High Court judges, to the Prime Minister. In the Industrial Court Spicer’s rulings covered matters relating to appeals from decisions of the registrar, the binding character of the rules of an organisation, dual registrations under federal and state arbitration law and the meaning of the term ‘natural justice’. In April 1960 Spicer heard the appeal of Clyde Cameron, MHR, concerning his expulsion from the Australian Workers’ Union. The appeal before the Full Bench of the Court was successful and Cameron’s political career continued. Spicer also became party to several High Court cases concerning the jurisdiction of the Court. Between 1958 and 1976 he headed various judicial inquiries and royal commissions. In 1959 he was appointed to chair a government committee, to which he had been appointed by his successor as Attorney-General, Senator Neil O’Sullivan, to examine copyright law in Australia. One of the committee’s recommendations in its 1965 report was the establishment of a copyright tribunal. In 1968 Spicer became President of the Tribunal. He was involved also in inquiries into two major shipping disasters. Following the loss of HMAS Voyager after its collision with the aircraft carrier, HMAS Melbourne, in February 1964, Menzies appointed a Royal Commission to inquire into the causes and circumstances of the incident. Spicer was the sole commissioner. His report, tabled in the Senate by John Gorton, did little to allay widespread concern, and in 1967 a second Royal Commission was appointed. In 1975 Spicer, with Mr Justice Neasey of Tasmania, led a court of marine inquiry into the Tasman Bridge disaster when the Lake Illawarra sank after crashing into the bridge. Spicer was created a Knight Bachelor in 1963 and continued to preside over the Industrial Court until his retirement in November 1976. He died in a private hospital in Armadale on 3 January 1978. He was accorded a state funeral and cremated at Springvale following a Church of England service at Christ Church, South Yarra, where on 27 June 1924, he had married Lavinia May Webster. Spicer and his wife had lived at 153 Glen Iris Road, Glen Iris, not far from his birthplace. They had one son, John. Undoubtedly he was one of the outstanding men of the Senate; he put his impress on that Chamber. He was able to grasp swiftly the essentials of any debate . . . and to express his views logically, clearly, and, if necessary, forcibly. If you think that these are elementary qualifications which should be possessed by every member of Parliament, you should come to Canberra . . .
 Ian Hancock, National and Permanent? The Federal Organisation of the Liberal Party of Australia 1944–1965, MUP, Carlton South, Vic., 2000, p. 4; Sun (Melb. ), 23 July 1955, p. 5; J. A. Pettifer (ed. ), House of Representatives Practice, AGPS, Canberra, 1981, p. 642; Sun-News Pictorial (Melb. ), 14 Sept. 1934, p. 12; Herald (Melb. ), 28 Oct. 1976, p. 6; J. E. Menadue, A Centenary History of the Australian Natives’ Association 1871–1971, Horticultural Press, Melbourne, 1971, pp. 39, 393; Australian Quarterly, Mar. 1929, p. 3; Leonie Foster, High Hopes: The Men and Motives of the Australian Round Table, MUP, Carlton, Vic., 1986, pp. 39, 66, 138, 236; Tony Blackshield, Michael Coper and George Williams (eds), The Oxford Companion to the High Court of Australia, OUP, Melbourne, 2001, pp. 25–6. A. W. Martin, Robert Menzies: A Life, vol. 1, MUP, Carlton, Vic., 1993, pp. 75–8, 90–2; Argus (Melb. ), 14 Nov. 1929, p. 8, 15 Nov. 1929, p. 7, 16 Nov. 1929, p. 19, 28 Apr. 1931, pp. 6, 7, 29 Apr. 1931, p. 8; Young Nationalist (Melb. ), 1 Feb. 1931, p. 4, 1 Mar. 1931, p. 2, 1 June 1931, p. 4; Paul Hasluck, The Chance of Politics, ed. Nicholas Hasluck, Text Publishing, Melbourne, 1997, pp. 65–7. Senate, Journals, 20 Nov. 1940; CPD, 21 Nov. 1940, pp. 44–7; CPP, Joint Committee on Profits, reports, 1941, 1942, Standing Committee on Regulations and Ordinances, reports, 1942, 1947; CPD, 2 Apr. 1941, pp. 461–2. CPD, 3 June 1942, pp. 1910–19; J. R. Odgers, Australian Senate Practice, 5th edn, AGPS, Canberra, 1976, pp. 392–3; G. S. Reid and Martyn Forrest, Australia’s Commonwealth Parliament 1901–1988, MUP, Carlton, Vic., 1989, pp. 206–7; CPD, 11 Mar. 1943, pp. 1522–4, 1530–1, 12 Mar. 1943, p. 1632, 16 Mar. 1943, pp. 1763–4, 17 Mar. 1943, pp. 1807–13, CPP, Joint Committee on the Advisability of Basing the Liability for Income Tax on Current Income, report, 1944. Geoffrey Sawer, Australian Federal Politics and Law 1929–1949, MUP, Carlton, Vic., 1963, p. 137; CPD, 8 Oct. 1942, p. 1510, 9 Oct. 1942, pp. 1551–4. CPD, 28 Jan. 1943, pp. 64–6, 17 Feb. 1943, pp. 780–4, 18 Feb. 1943, pp. 877–8; Sawer, Australian Federal Politics and Law 1929–1949, pp. 138–9; David Day, John Curtin: A Life, Harper Collins, Pymble, NSW, 1999, pp. 497–8. Arthur Fadden, They Called Me Artie: The Memoirs of Sir Arthur Fadden, Jacaranda Press, Milton, Qld, 1969, p. 87; Graeme Starr, The Liberal Party of Australia: A Documentary History, Drummond Heinemann, Richmond, Vic., 1980, pp. 63–4; CT, 2 Apr. 1943, p. 2, 3 Apr. 1943, p. 2; Martin, Robert Menzies: A Life, pp. 408–9; Hancock, National and Permanent? pp. 46–7; Menzies Papers, MS 4936, boxes 410, 416/53, 417/60, NLA; Sawer, Australian Federal Politics and Law 1929–1949, p. 210; CPD, 29 May 1947, pp. 3096–7; CPP, Standing Committee on Regulations and Ordinances, sixth report, 1947; The position of legal adviser to this committee has continued since Spicer’s time. Gavin Souter, Acts of Parliament, MUP, Carlton, Vic., 1988, pp. 411–13; CPD, 30 May 1950, pp. 3312–32, 14 June 1950, pp. 4187, 4193–217, 4227–35, 21 June 1950, p. 4579–600, 18 Oct. 1950, pp. 945–50; SMH, 18 Oct. 1950, p. 4, 19 Oct. 1950, p. 6; John Cramer, Pioneers, Politics and People, Allen & Unwin, Sydney, 1989, pp. 112–13; Australian Communist Party v. Commonwealth (1950–1951) 83 CLR 4. CPD, 12 July 1951, pp. 1460–7, 1509–15; David Lowe, Menzies and the ‘Great World Struggle’: Australia’s Cold War, 1948–1954, UNSW Press, Sydney, 1999, p. 119; Herald (Melb. ), 4 Jan. 1983, p. 9; David McKnight, Australia’s Spies and Their Secrets, Allen & Unwin, St Leonards, NSW, 1994, pp. 43, 119–21. CPD, 5 Dec. 1950, pp. 3570–8, 7 Dec. 1950, pp. 3891–2; Senate, Journals, 30 Nov. 1951. CPD, 2 Apr. 1941, pp. 474–5, 2 Nov. 1950, pp. 1782–5, 15 Mar. 1951, pp. 518–21, 10 July 1951, pp. 1169–76, 11 & 12 July 1951, pp. 1332–42, 5 June 1952, pp. 1455–60. Tony Blackshield, Coper and Williams (eds), The Oxford Companion to the High Court of Australia, OUP, pp. 440–1; Robert Manne, The Petrov Affair: Politics and Espionage, Pergamon, Sydney, 1987, p. 46; CPD, 12 Aug. 1954, pp. 203–8, 218–25, 27 Oct. 1955, pp. 817–21, 9 Nov. 1954, pp. 1249–55; W. J. Hudson, Casey, OUP, Melbourne, 1986, pp. 267–8; Alan Watt, Australian Diplomat: Memoirs of Sir Alan Watt, A & R in association with the Australian Institute of International Affairs, Sydney, 1972, pp. 220–5. CPD, 12 June 1956, pp. 1405–13; W. Anstey Wynes, ‘The Decision in the Boilermakers’ Case,’ Australian Law Journal, 18 Apr. 1957, pp. 614–17; Official Year Book of the Commonwealth of Australia, no. 43, 1957, pp. 156–7; Senate, Journals, 24 May 1956, 24 Oct. 1956; CPD, 29 May 1956, p. 1006; Blackshield, Coper and Williams, The Oxford Companion to the High Court of Australia, pp. 40–2; Orwell De R. Foenander, Trade Unionism in Australia: Some Aspects, Law Book Co., Sydney, 1962, pp. 48, 49, 57, 108–10, 132–4; Bill Guy, A Life on the Left: A Biography of Clyde Cameron, Wakefield Press, Kent Town, SA, 1999, p. 166. Australian Law Journal, 16 Aug. 1956, p. 200, Nov. 1976, pp. 598–9; CPP, Report of the Committee on Commonwealth Copyright Law, 1959; L. R. Zines, ‘Revision of Copyright Law’, Australian Law Journal, 19 Dec. 1963, pp. 247–58; Ian Hancock, John Gorton: He Did it His Way, Hodder, Sydney Australia, 2002, pp. 93–7; CPP, Report of the Royal Commissioner on Loss of the Voyager, 1954; CPD, 23 Sept. 1964, pp. 688–96; Age (Melb. ), 1 Sept. 1964, pp. 2, 3, 9 Jan. 1975, p. 3; Herald (Melb. ), 28 Oct. 1976, p. 6; CT, 4 Jan. 1978, p. 1; Age (Melb. ), 7 Jan. 1978, p. 8; Sun (Melb. ), 7 Jan. 1978, p. 11; CPD, 22 Feb. 1978, pp. 13–15; Hasluck, The Chance of Politics, pp. 65–7; Argus (Melb), 1 July 1944, p. 1. This biography was first published in The Biographical Dictionary of the Australian Senate, vol. 2, 1929-1962, Melbourne University Press, Carlton, Vic., 2004, pp. 153-159.